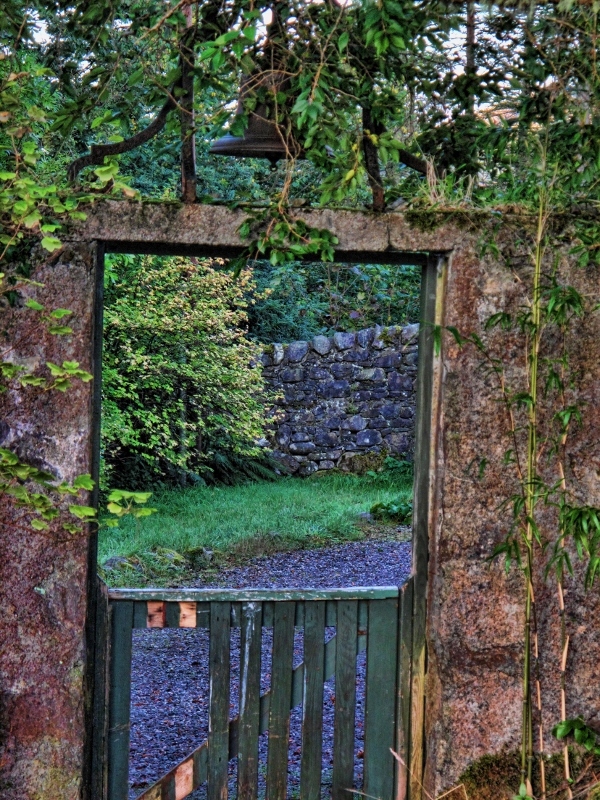 Gates that Lend Mystery to a Setting…. In the next picture, this gate led out of a castle garden and you see a glimpse of the well-manicured, spacious lawns and trees in the park-like setting. 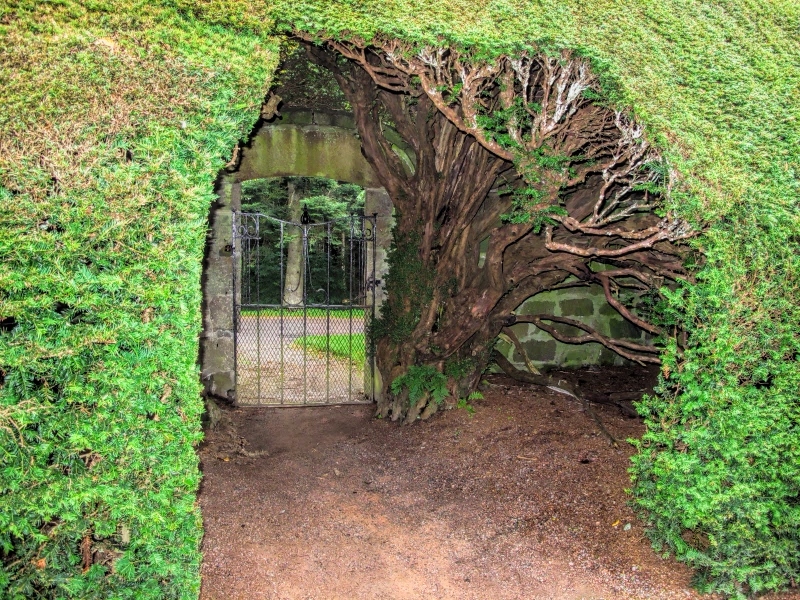 This one surrounded by the hedges went beyond the garden at a different castle. I loved how the hedge was trimmed as an arbor. Don’t you love glimpses of another setting? If these had just been walls or solid hedges, or just a walkway, it wouldn’t have been half as interesting. A gate says there’s accessibility. An openness, yet a barrier, too. But not a permanent barrier. An invitation to explore what’s on the other side.